If you told someone 20 years ago that the biggest celebrities in the world would someday be appearing at a convention for electronics, they'd have laughed in your face. But in 2013, it's the norm. Technology is no longer the domain of nerds, and the cool kids want in the action. The low-hanging fruit for signature celebrity gadgets are headphones and audio gear. Dr. Dre started the trend at CES in 2008. He wasn't the first big star to appear at CES, or the first to lend his name to a product. But he was the first -- on paper, at least -- to have an active hand in the development and marketing of his product. 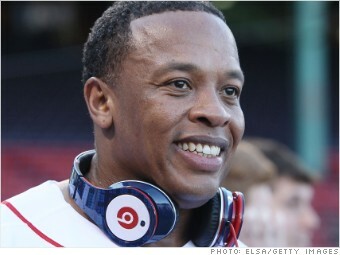 Appearing at CES in 2008 with Interscope Records CEO Jimmy Iovine and Monster Audio founder Noel Lee, Dr. Dre unveiled the original Beats headphones. Today, Beats Audio is among the most recognizable audio brands in the world, with headphones and speakers for every imaginable scenario.